The daily newspaper La voce del popolo published in Rijeka presented on January 18, 2018, the activities of the Precision Engineering research group, especially in the field of the micro- and nanotechnologies, through an interview with the group leader Prof. D. Sc. Saša Zelenika. 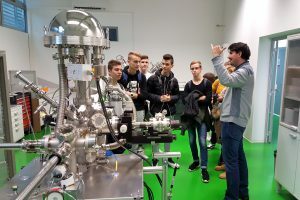 On November 9th 2017 the junior students of the High-school Jurla Dobrile Pazin, visited the laboratories of the Centre for Micro- and Nanosciences and Technologies (CMNST) and the Bura supercomputer at the campus of the University of Rijeka – where they had occasion to get acquainted with the state-of-the-art laboratory equipment and the scientific work carried on this equipment. The students learned thus about various micro- and nanosystems developed within the CMNST and the characterisation of their properties from the physics, engineering and bio-chemical standpoint, expressing their enthusiasm for the chance they have been given as well as the wish to pursue their future university studies at the University of Rijeka – and hence to use professionally the devices they have seen. 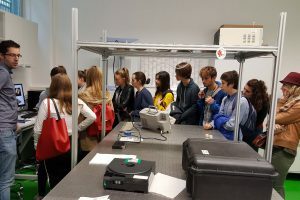 On November 2nd 2017 the junior and senior high-school students of the High-school in Italian language in Rijeka, following a sciences and mathematics study program, visited the laboratories of the Centre for Micro- and Nanosciences and Technologies (CMNST) and the Bura supercomputerat the campus of the University of Rijeka – where they had occasion to get acquainted with the state-of-the-art laboratory equipment and the scientific work carried on this equipment. The students learned thus about various micro- and nanosystems developed within the CMNST and the characterisation of their properties from the physics, engineering and bio-chemical standpoint, expressing their enthusiasm for the chance they have been given as well as the wish to pursue their future university studies at the University of Rijeka – and hence to use professionally the devices they have seen. Projekt “Razvoj mehatroničkog uređaja za rehabilitaciju pacijenata sa smanjenom funkcionalnošću gornjih ekstremiteta” istraživačke skupine s Tehničkog fakulteta u Rijeci, u suradnji s KBC-om te Medicinskim fakultetom u Rijeci, prijavljen na natječaj Zagrebačke banke “Moj ZABA Start“, odabran je kao dobitnik treće nagrade i 80.000 kuna u kategoriji “Kultura i znanost“. U predmetnoj kategoriji prijavljeno je bilo ukupno 209 projektnih prijava, dok je u svim kategorijama ukupno bilo 680 projektnih prijava od kojih je samo njih 11 na kraju osvojilo donacije. U nagrađenom projektu sudjeluju prof. dr. sc. Saša Zelenika, izv. prof. dr. sc. Kristijan Lenac, dr. sc. 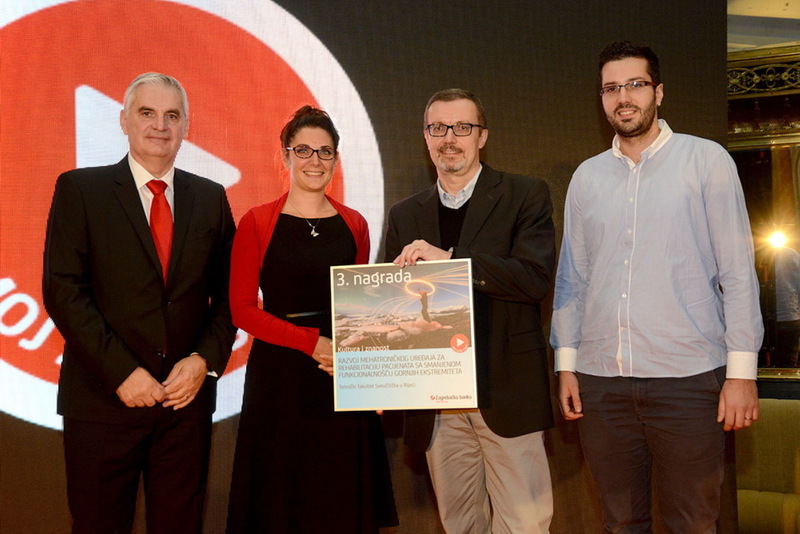 Ervin Kamenar, asistenti Petar Gljušćić i Tea Arrigoni s Tehničkog fakulteta u Rijeci i Centra za mikro- i nanoznanosti i tehnologije Sveučilišta, te prof. dr. sc. 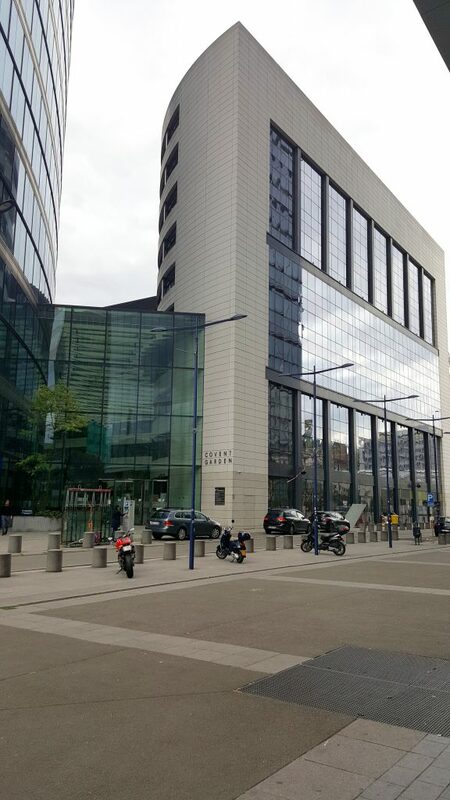 Tea Schnurrer Luke Vrbanić s Medicinskog fakulteta i KBC-a Rijeka. Our team members M. Sc. Tea Arrigoni, M. Sc. Petar Gljuščić and M. Sc. 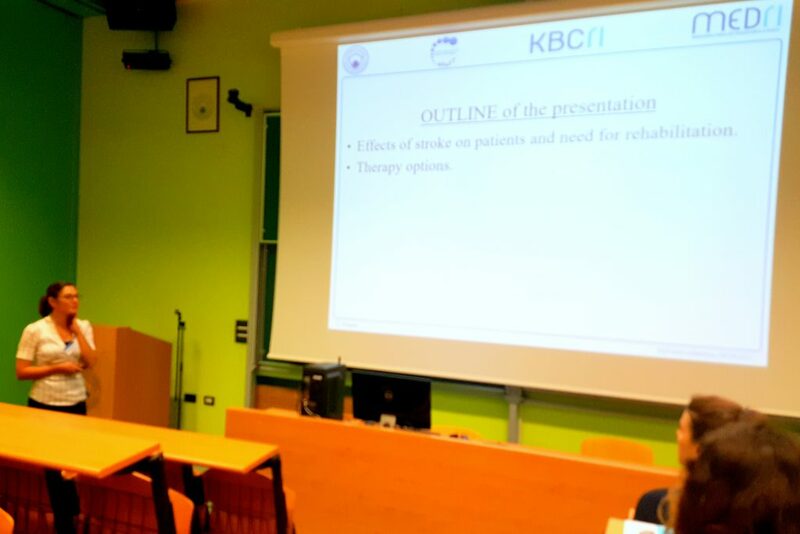 Marko Perčić presented the results of their recent work at the “My first Conference” event organized by the Faculty of Engineering, the Faculty of Civil Engineering and the Faculty of Maritime Studies of the University of Rijeka. 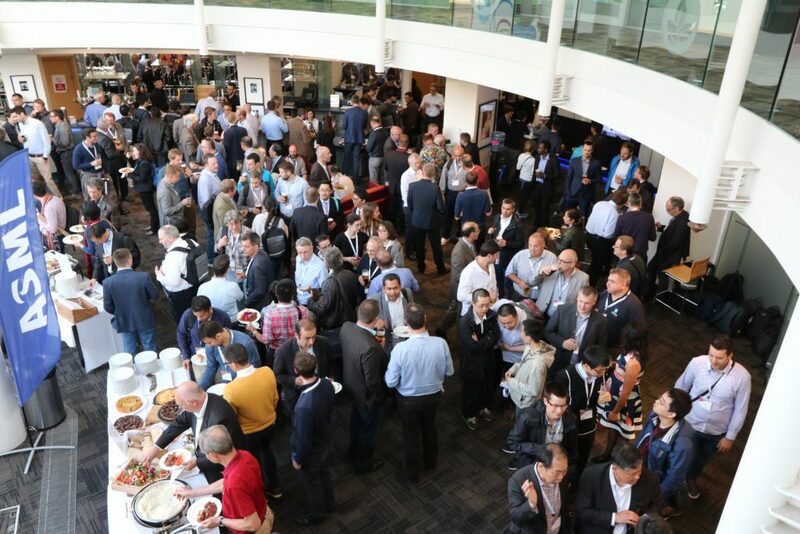 The conference was held at the Faculty of Engineering itself and organized exclusively for the doctoral students whose research is undergoing. Projekt “Razvoj mehatroničkog uređaja za rehabilitaciju pacijenata sa smanjenom funkcionalnošću gornjih ekstremiteta” istraživačke skupine s Tehničkog fakulteta u Rijeci, u suradnji s Kliničkim bolničkim centrom te Medicinskim fakultetom u Rijeci, prijavljen na natječaj Zagrebačke banke “Moj ZABA Start“, odabran je od strane stručnog povjerenstva kao jedan od 10 finalista u kategoriji “Kultura i znanost“. 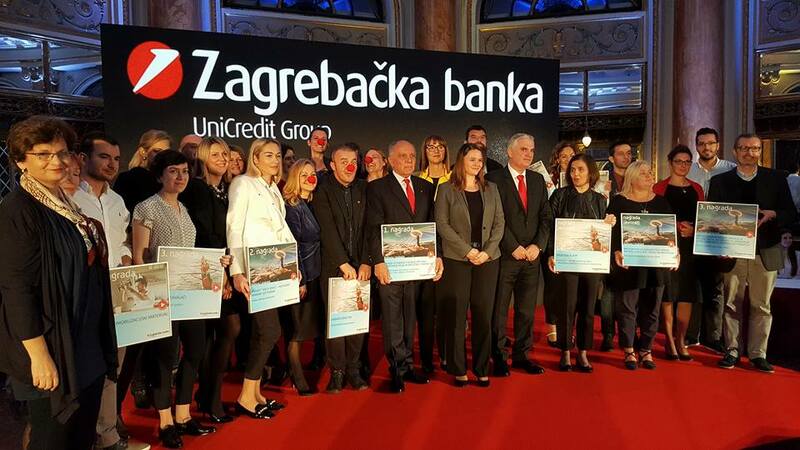 U predmetnoj kategoriji prijavljeno je ukupno 209 projektnih prijava, dok je u svim kategorijama ukupno bilo 680 projektnih prijava od kojih je 30 ušlo u finale. U projektnoj prijavi sudjeluju prof. dr. sc. Saša Zelenika, izv. prof. dr. sc. Kristijan Lenac, dr. sc. Ervin Kamenar, asistent Petar Gljušćić, i Tea Arrigoni s Tehničkog fakulteta u Rijeci te prof. dr. sc. Tea Schnurrer Luke Vrbanić sa Zavoda za fizikalnu i rehabilitacijsku medicinu KBC-a Rijeka i Medicinskog fakulteta u Rijeci. 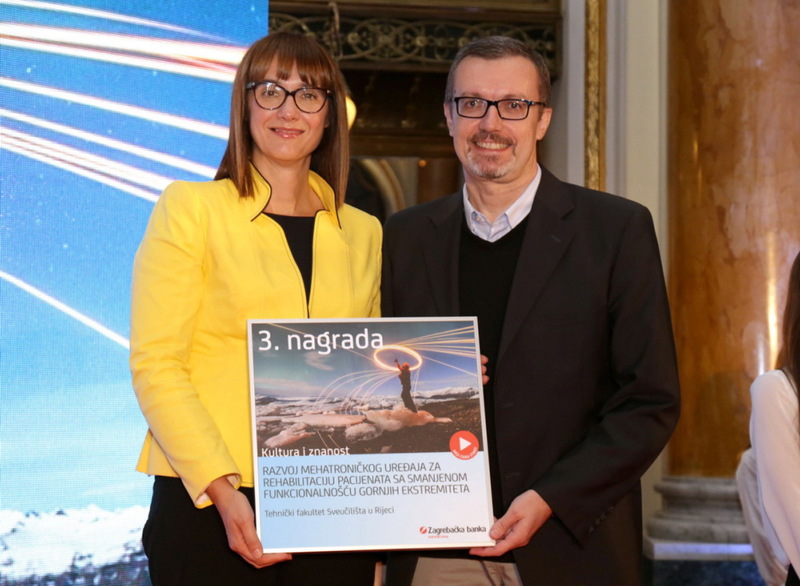 Ukupni fond potpora za kategoriju Kultura i znanost iznosi ukupno 330.000 kn odnosno 120.000 kn za prvu, 100.000 kn za drugu i 80.000 kn za treću nagradu prema odluci Komisije. 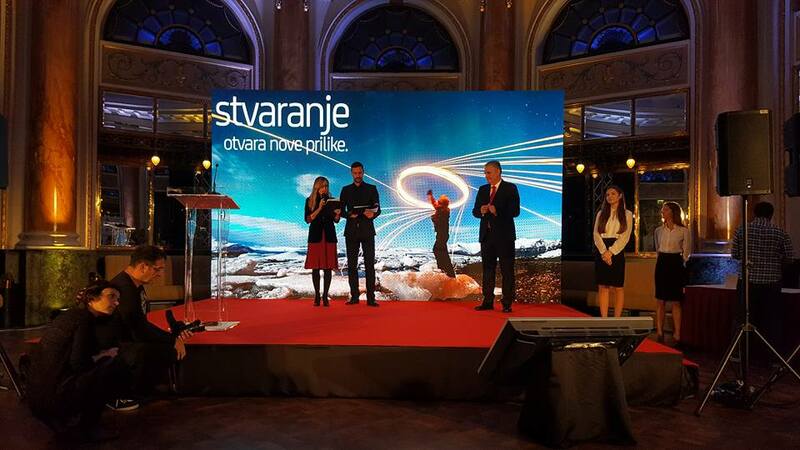 Četvrta nagrada od 30.000 kn bit će dodijeljena prema odabiru javnosti putem javnog glasovanja na www.mojzabastart.hr. 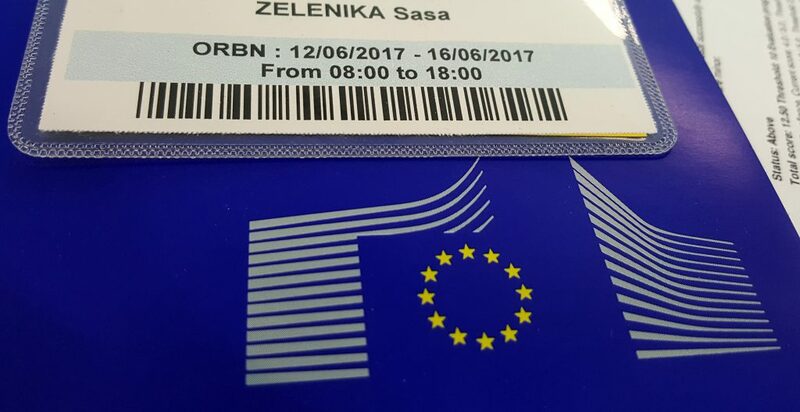 Prof. Saša Zelenika become an expert evaluator of the European Commission! Our member prof. Saša Zelenika was selected as an Expert evaluator of the European Commission (EC) of research infrastructure proposals submitted to the Horizon 2020 EU framework programme calls! 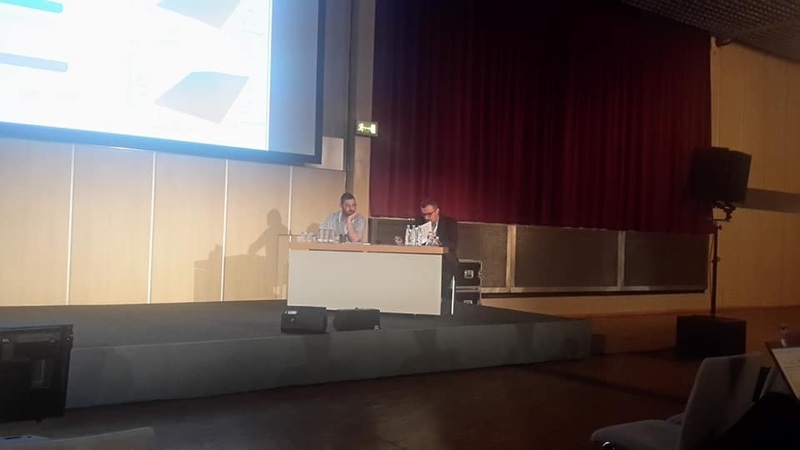 Evaluation was held in Bruxelles, Belgimum from June 12th to June 16th 2017. 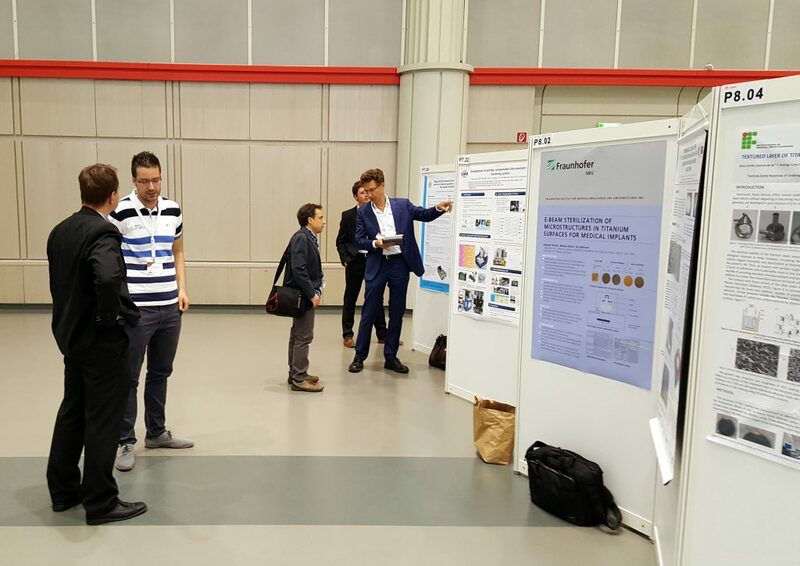 Employees of the Precision Engineering Laboratory visited the 17th International conference EUSPEN 2017, held from 29.05. to 02.06.2017. in Hannover, Germany. 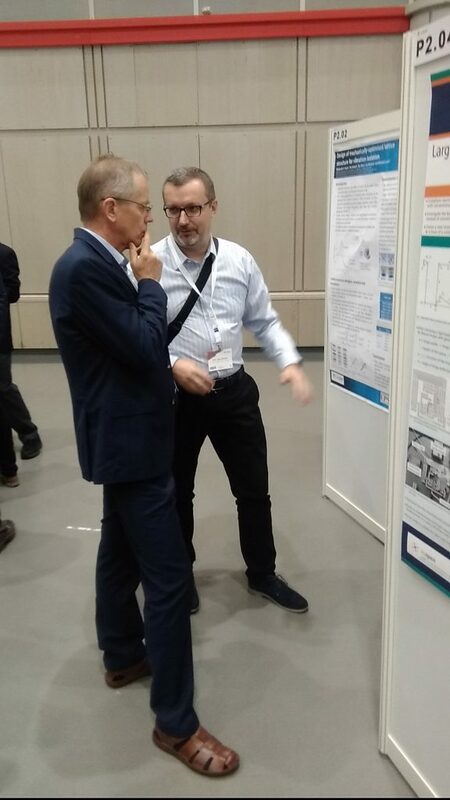 Our member prof. Saša Zelenika was a member of the International Scientific Committee as well as the Chair of the session “Advances in Precision Engineering and Nanotechnology”. 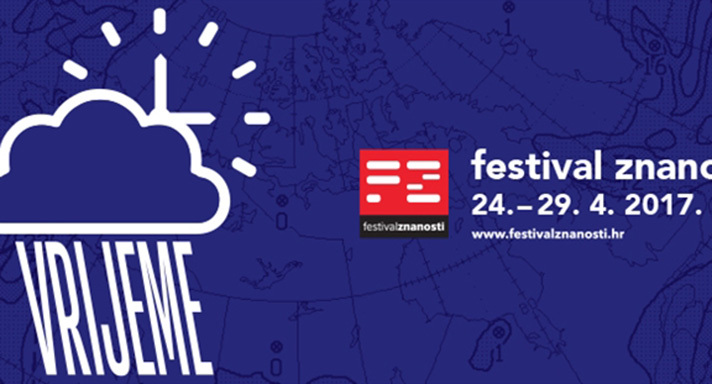 This year’s Science festival in Rijeka was held from April 24th to April 29th, 2017. 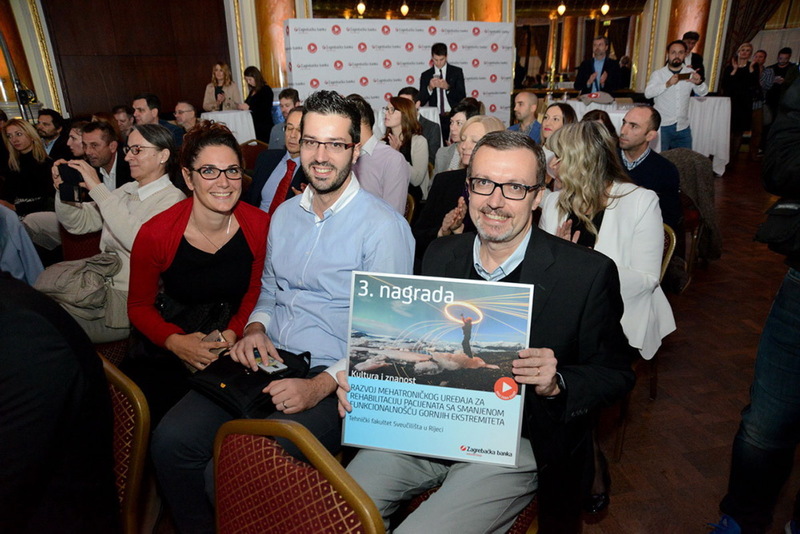 The 15th festival was held in 22 Croatian cities at the same time. The theme of this year’s festival was weather/time. 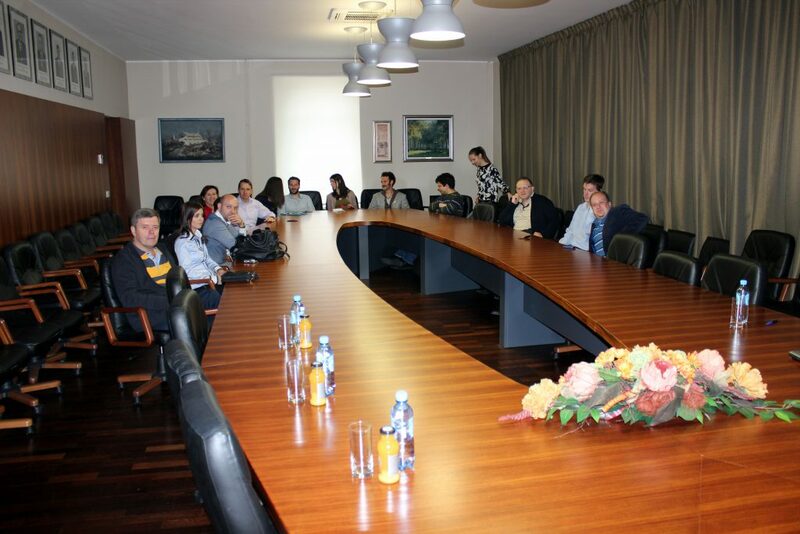 Opening ceremony of this event was held at City Hall Korzo on Monday, April 24th, 2017 at 11:00. As a part of the Science festival Precision engineering laboratory team members Prof. D. Sc. 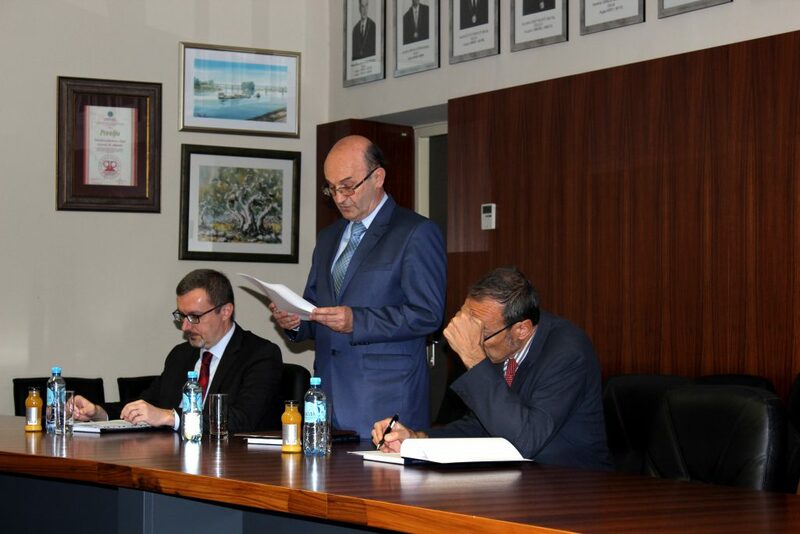 Saša Zelenika, D. Sc. Ervin Kamenar and M. Sc. 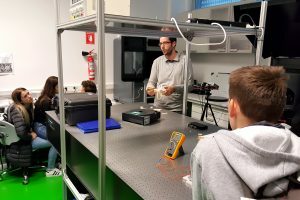 Petar Gljušćić organized an open laboratory day for broader public on April 27th, 2017. 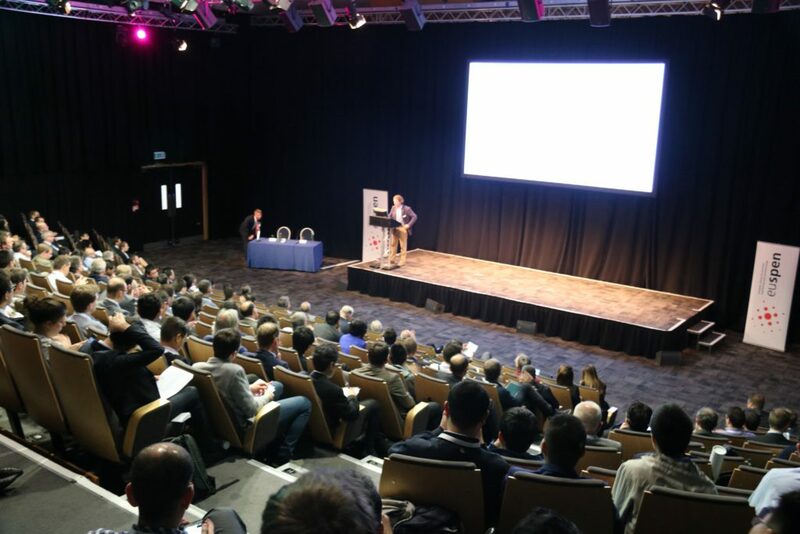 Employees of the Precision Engineering Laboratory visited the 17th International conference EUSPEN 2016, held from 30.05. to 00.06.2017. in Nottingham, UK. Our member D. Sc. 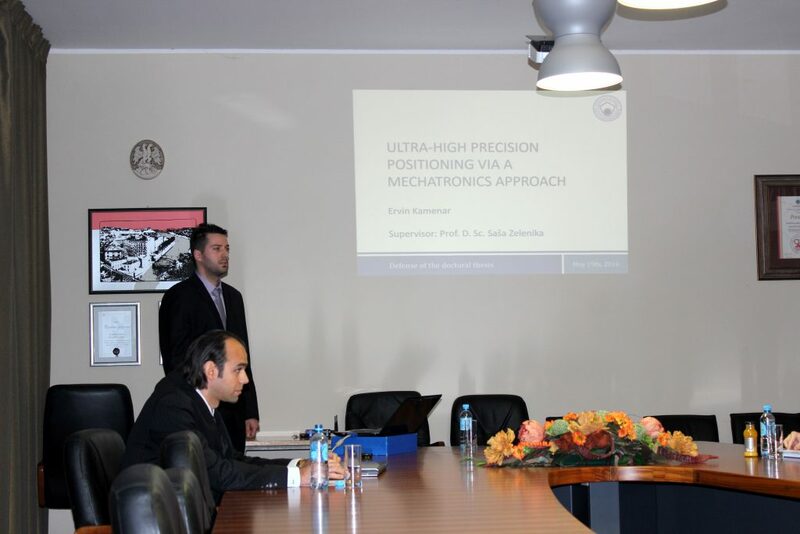 Ervin Kamenar defended his doctoral thesis entitled “Ultra-high precision positioning via a mechatronics approach” on May 19th, 2016. Doctoral thesis supervisor vas Prof. D. Sc. Saša Zelenika. 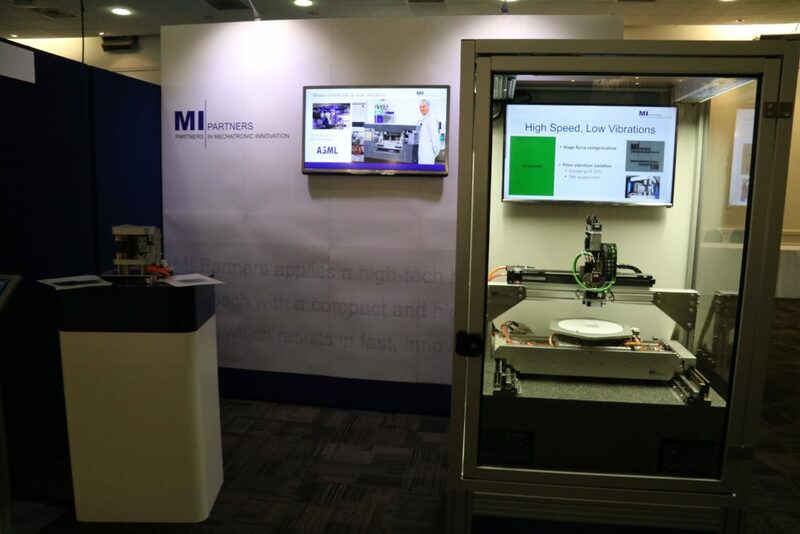 Ultra-high precision mechatronics positioning systems are critical devices in current precision engineering and micro- and nano-systems’ technologies, as they allow repeatability and accuracy in the nanometric domain to be achieved. The doctoral thesis deals thoroughly with nonlinear stochastic frictional effects that limit the performances of ultra-high precision devices based on sliding and rolling elements. The state-of-the-art related to the frictional behavior in the pre-sliding and sliding motion regimes is considered and different friction models are validated. 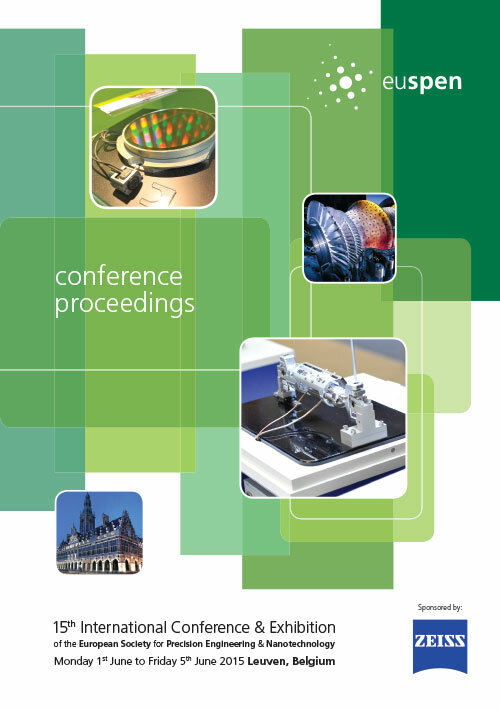 Due to its comprehensiveness and simplicity, the generalized Maxwell-slip (GMS) friction model is adopted to characterize frictional disturbances of a translational axis of an actual multi-degrees-of-freedom point-to-point mechatronics positioning system aimed at handling and positioning of microparts. The parameters of the GMS model are identified via innovative experimental set-ups, separately for the actuator-gearhead assembly and for the linear guideways, and included in the overall MATLAB/SIMULINK model of the used device. With the aim of compensating frictional effects, the modeled responses of the system are compared to experimental results when the system is controlled by means of a conventional proportional-integral-derivative (PID) controller, when the PID controller is complemented with an additional feed-forward model-based friction compensator and, finally, when the system is controlled via a self-tuning adaptive regulator. 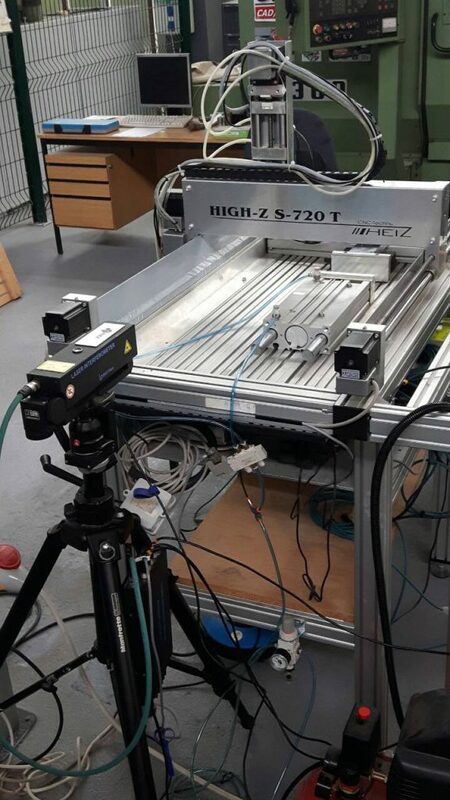 The adaptive regulator, implemented within the real-time field programmable gate array based control system, is proven to be the most efficient and is hence used in the final repetitive point-to-point positioning tests. 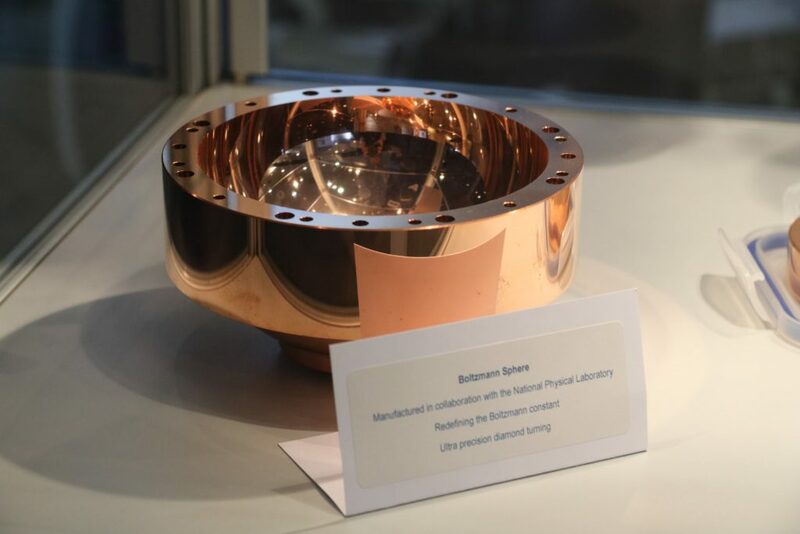 Nanometric-range precision and accuracy (better than 250 nm), both in the case of short-range (micrometric) and long-range (millimeter) travels, are achieved. 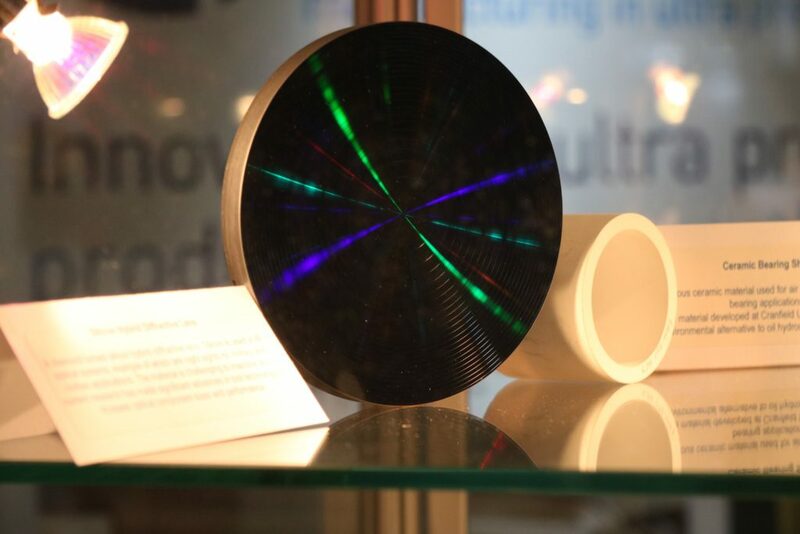 Different sensors, actuators and other design components, along with other control typologies, are experimentally validated in ultra-high precision positioning applications as well. Our member D. Sc. 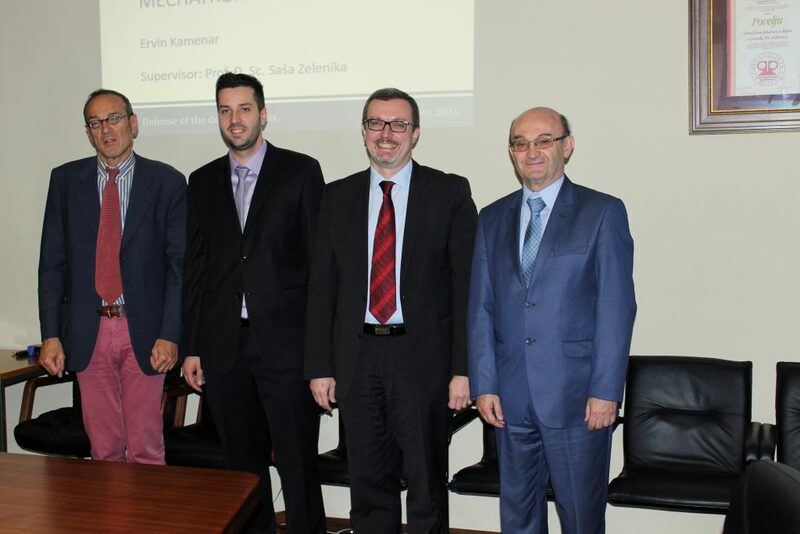 Kristina Marković defended her doctoral thesis entitled “ANALYSIS OF INFLUENCING PARAMETERS IN THE DESIGN OF CROSS – SPRING PIVOTS” on March 20th, 2015. Compliant mechanisms, that gain at least part of their mobility from the deflection of flexible members, are an alternative to conventional sliding and rolling mechanisms used to transfer motion, power or force. 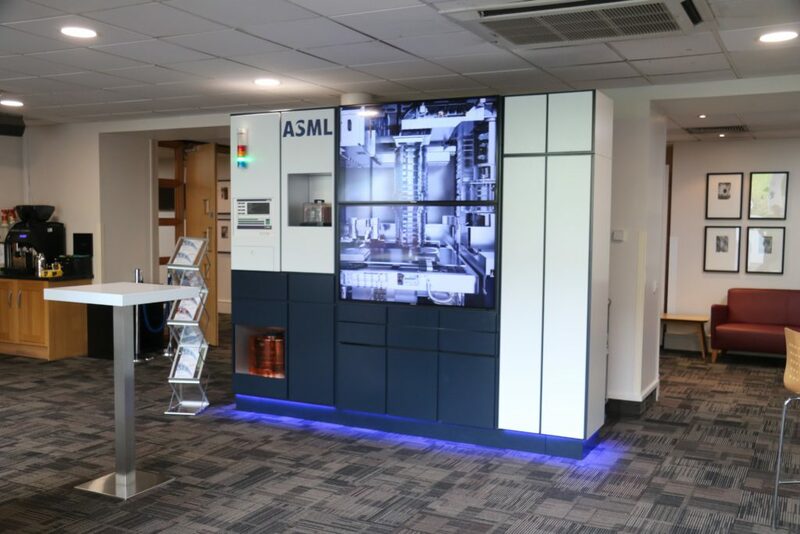 Compliant mechanisms are nowadays widely used in mechanical engineering design, precision engi neering as well as the micro- and nanosystems technologies. Parameters influencing the design of differ ent configurations of cross-spring pivots are analysed in this doctoral thesis. 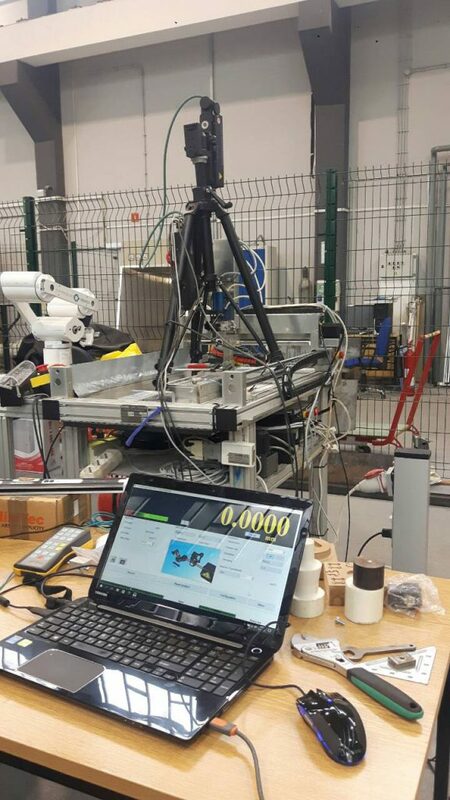 In fact, the main goals in their design are: achieving the highest possible accuracy and precision, achieving the lowest possible variability of rotational stiffness, stability, design simplicity and reliability. 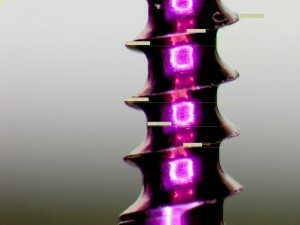 Since the considered mechanis ms are constituted by spring-strips, the prediction of their behaviour is to be based on the analysis of the characteristic parameters of the strips themselves. In order to analyse the influencing parameters in the design of symmetrical cross-spring pivots loaded by a pure couple, an analytical model of the behaviour of spring-strips in the field of large (geometrically nonlinear) deflections based on the Elastica method, as well as a numerical model based on the finite elements method, are hence developed in the thesis. In order to assess the applicability of the developed numerical model in predicting the stress-strain behaviour of the considered mechanisms, results obtained numer ically are compared with experimental data available in literature. With the goal of determining the limits of applicability of the approximated calculation methods depending on the needed accuracy, the results of the analytical calculations of the stress-strain behaviour of the cross-spring pivots are then compared with results obtained by using the finite element method. Numerical calculations are used next to optimise pivots’ design by assessing the influence of the angle and the position of the intersection as well as of the initial curvature of the spring-strips,. A design solution allowing the minimisation of the parasitic shifts, as well as the minimisation of variability of the rotational stiffness, even for large rotations of the pivot is thus obtained. At the end of the thesis, ananalysis of the influence of external loads on the variability of rotational stiffness and on the entity of the parasitic shifts is also performed. The results obtained in the doctoral thesis allow thus not only assessing the influence of the design parameters in the design of cross-spring pivots (i.e. the influence of these parameters on rotational stiffness and the accuracy of the considered mechanisms), but also creating the preconditions for the development of a new class of ultra-high precision rotational compliant mechanisms with potentially broad applications in industrial and design praxis. As a result of collaborative research between School of Medicine in Rijeka and Precision Engineering Laboratory of Faculty of Engineering in Rijeka, an article has been published in The Korean Journal of Orthodonics and can be read here. 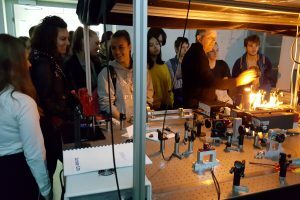 The Precision Engineering Laboratory has established cooperation with the School of Medicine in Rijeka. 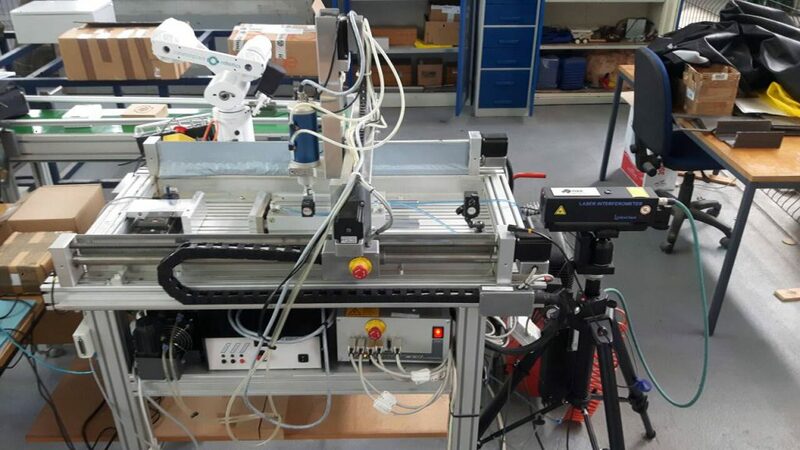 Measurement of special screws with small dimensions which are used in orthodontics was conducted using the Optical Stereomicroscope Olympus SZX16. Characteristic properties (size, pitch angle etc.) 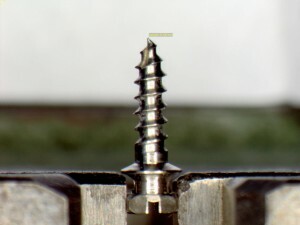 of the screws were measured since the manufacturer does not provide this information in their catalogs for this type of special screws. 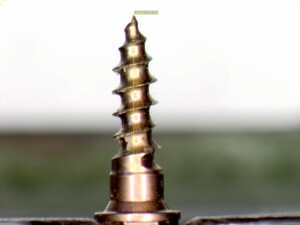 Measurements were carried out in order to further analyze the influence of the dimensions of the screws on the percentage of successful operations on patients. Measurements and analysis were performed and the final report was made in March 2012. We wish to thank Prof. Stjepan Špalj and Prof. Barbara Mady Maričić from the School of Medicine in Rijeka, Chair of Pediatric Dentistry and Orthodontics for cooperation with the Precision Engineering Laboratory. Also, we wish to thank to our students: Arian Karabegović, Jelena Srnec and Dražen Žužić for their assistance during the measurements.